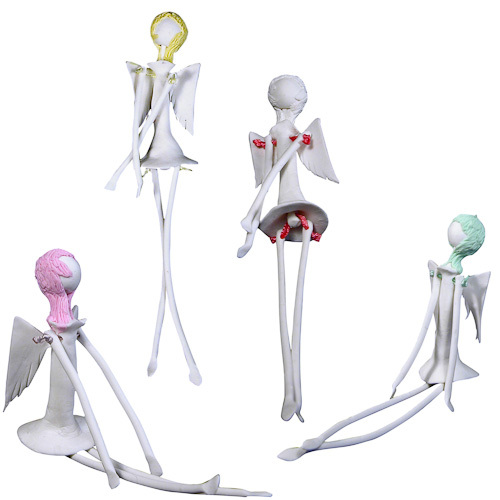 Occasions > Christmas > Angels	> Hinged White Flour Angels-"Now 20% Off Original Price"
Bring home these delicate and slender flour angles with flexible limbs to sit on your mantel this holiday. Made of flour paste and joined together with nylon threads, these beautiful angels with colored hair will make a unique addition to your Christmas decor this season. 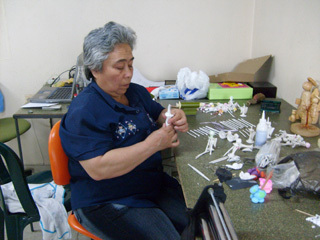 These flour paste angels are handmade by artisans at Piel Acida, a craft producing organization started by Ms. Ana Piedrahita in 1995 in Bogota, Colombia. 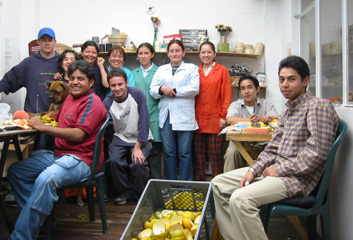 The organization has grown to support artisans all over the country creating traditional and contemporary craft products as well as providing insurance, educational assistance, loans and other services.